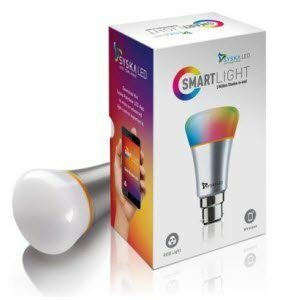 Flipkart selling Syska 7W Smartlight Rainbow LED Smart Bulb Rs. 899 . Dimmable Colour & White Light. Syska Rainbow LED App Functions: Colour ‘Pick’ Feature, Interactive Games, Call/SMS Detect, Schedule Sync.